Keith Johnson, Hospital Porter, recalls a Royal visit. “It was 10th November 1992 when Princess Diana came to visit. I had to be on the grounds early to tidy everything. At the time I was working on the incinerator and I had to go through all the hospital, the Out Patient Department,the main reception, A&E, sweeping all round those. That day sweeping the grounds was added to my agenda, so we had to start really early. Photograph above: Dartmouth Clinic, now the GUM clinic. The plaque that Princess Diana is unveiling is now housed inside the building. 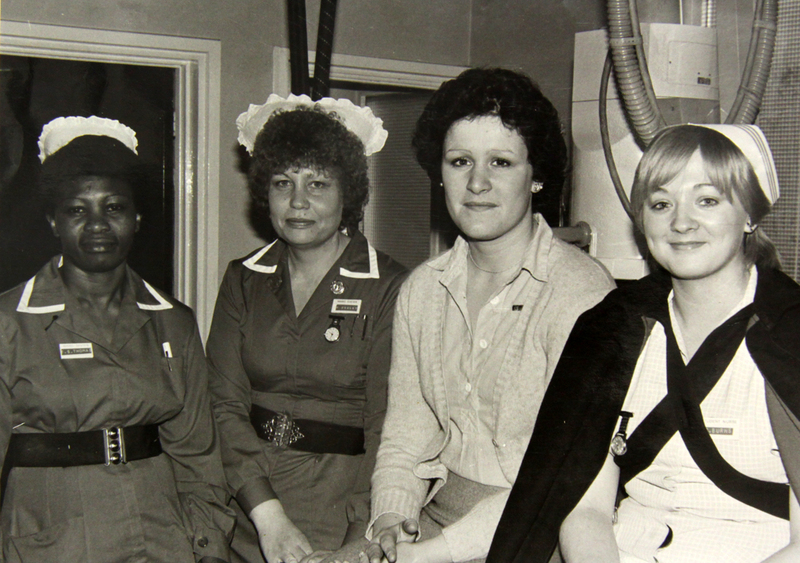 “I started my career at Sandwell General Hospital on Monday, 6th January 1976 as a student radiographer based at Hallam Hospital. The head of department was Miss P. Bryan, Superintendent Radiographer at West Bromwich and District Hospital, based at Edward Street, and her deputy Mrs O’Neill, Superintendent Radiographer and student mentor based at Hallam. The first six weeks are spent in block with student nurses doing basic studies and ward duties. I still the hospital corners are making beds. 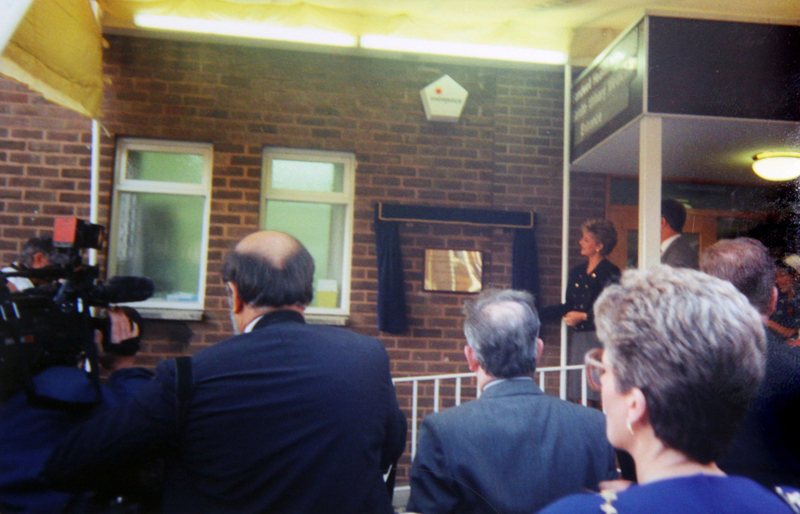 The School of Radiography was situated at Dudley Road hospital, the Principle being Mr Murphy. As a student I lived on a grant of £50 per month, which was to cover all my living expenses, study material etc but I was able to claim travel expenses. My career in Radiography ended as I failed to pass my second year photography exam. At this point Miss Bryan asked if I could work in medical records until I could regroup and find another job. In 1980 the position of clinical coding supervisor came up – this title was only because it was the only full-time position in the department) and I got the post. At this time coding was referred to as HAA or Hospital Activity Analysis. I’m still here 41 years later. Clinical coding is the abstraction of clinical data from information written by clinic clinician about patience condition which is converted into alphanumeric diagnostic and operative procedure codes. In this manner they can be easily studied, tabulated aggregated and sorted to statistical analysis, audit and research. These codes are used above national and international levels. Payment by Results was introduced to the NHS from 2004-05, a system of linking the amount of funding a hospital receives to the to the amount of activity they undertake (rather than a block contract, which was a fixed sum of money for a broadly specified service). The Edward Street site today. 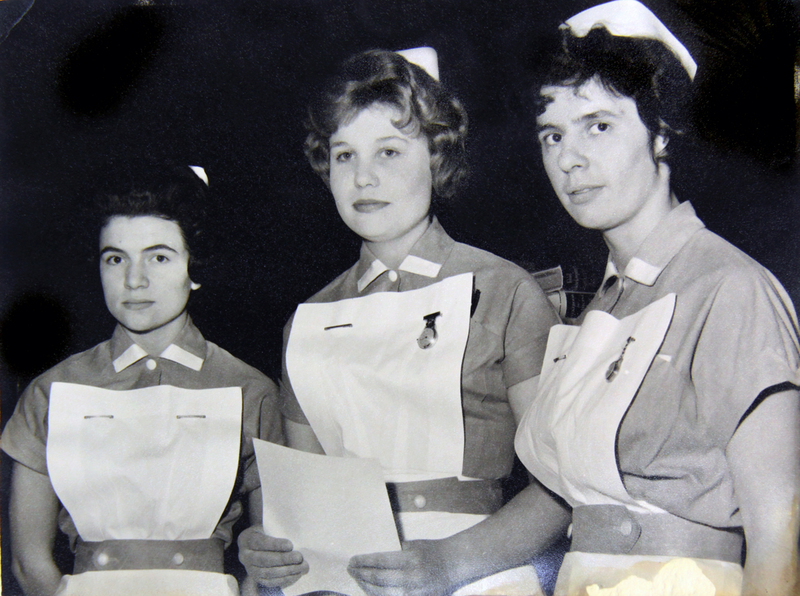 “I worked at West Bromwich and District General Hospital, Edward Street, between October 1961 and May 1964, in the Group Secretariat Department on the first floor next door to the Board Room. The staff covered the work of the Group Secretary, John Robins – who lived in a hospital property in Grange Road, West Bromwich – and the Deputy Group Secretary, Mr Pitchford. Also attached was Mrs Madeline Holden, who was the assistant to both of them, and did the work for most of the committees that met. Her husband was a senior member of the Finance Department, whose offices were in Bratt Street. Mrs Cutler, the sister of Mrs Holden, was Almoner* at the District Hospital. Across the road, on the corner of Lombard Street and Edward Street, was the hospital laundry which was bombed during the Second World War. Behind that, there was the engineers department. 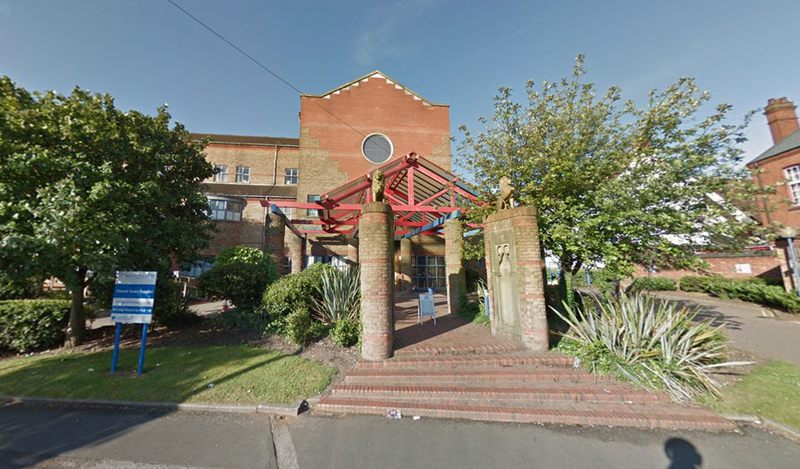 On site was the Casualty and Out Patient Department, which also housed the telephone exchange and Medical Records Department, and had a small coffee bar run by the WRVS. The house of the Matron (Miss Shepherd) was also on site. Outside the front entrance to the hospital stood two stone lions. (They are still there today). * The Almoners’ Department was a pre-NHS forerunner of the Social Work Departments found in modern hospitals today, a person whose job was to help people in hospitals with their financial and social problems. “At the age of 19, Gertie arrived in West Bromwich in November 1943. She came from Roscommon, Ireland. It was the first time she had left her home town. She was soon followed by three sisters, Mary, Julia and Theresa. 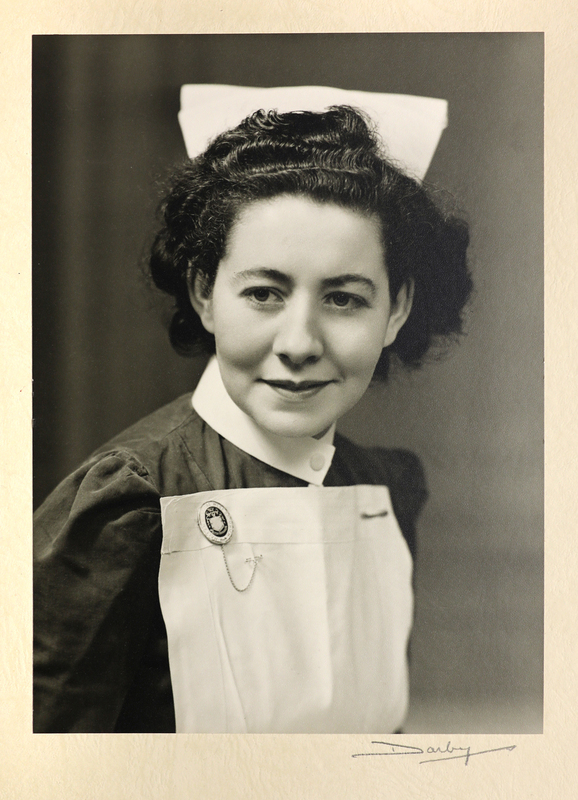 Gertie worked on the children’s ward with Julia, one of them working days, the other working nights. As they looked so alike, patients got very confused, thinking it was the same nurse. They lived in the Nurses’ Home. They left the window unlocked to allow the nurses to get in after hours. The police also patrolled the grounds at night in a car, offering to drive nurses over to the office to take midnight returns. One officer drove her up to Barr Beacon instead – this was a popular courting spot, so popular they had a fish’n’chip van there. She ended up marrying a policeman. For a prank once, they plastered a rather unpopular Doctor and left him in a wheelchair outside the Doctors’ residence. Gertie in the 1940s, photographed at the studio of Sidney Darby in West Bromwich. 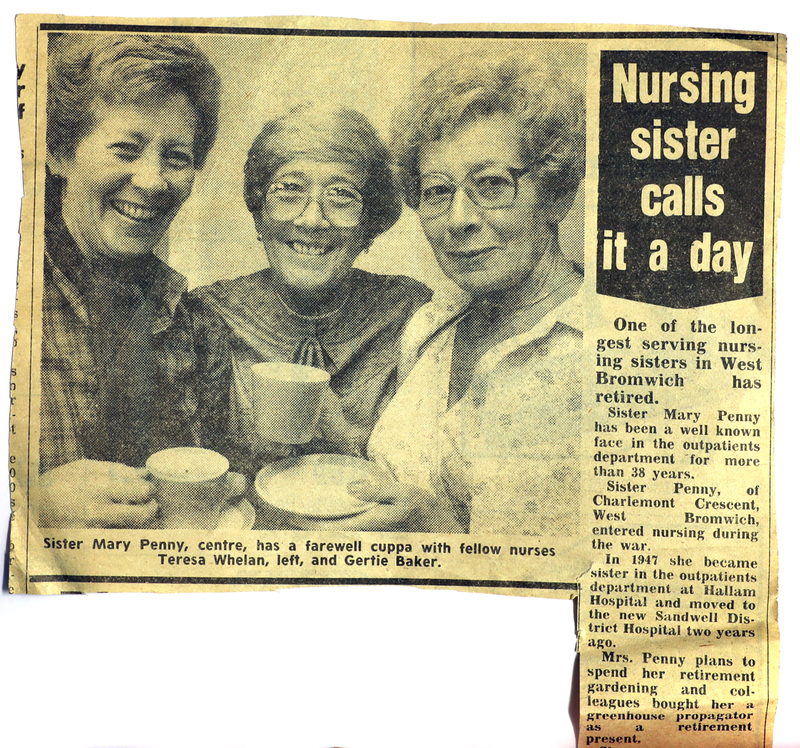 Maureen Dudley shares some of her photographs and news cuttings. 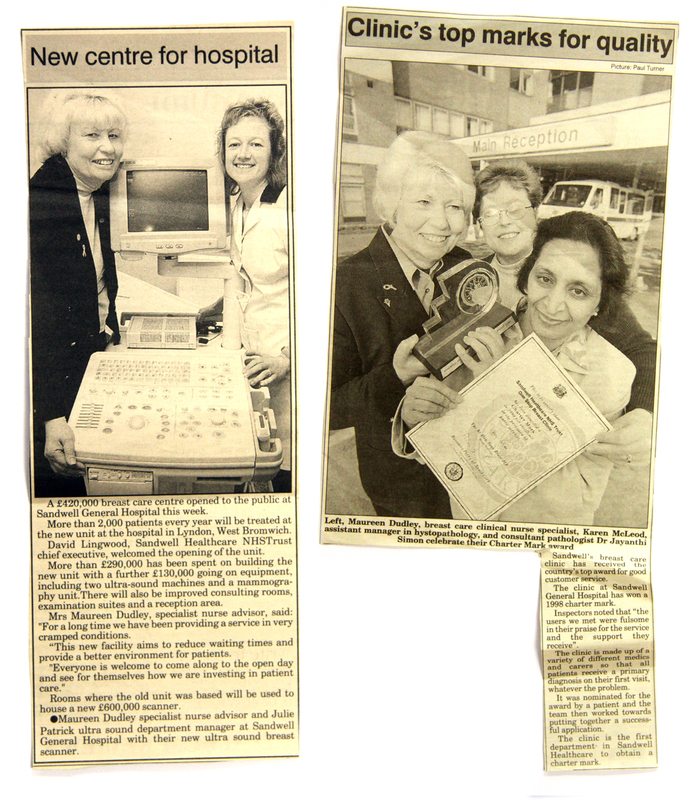 In 1970, after a decade of working in nursing, Maureen went on to be the first GP Practice nurse in Sandwell, returning to work at Hallam in the Day Unit in 1975 and then the new hospital on the site in 1979. She later transferred to the Breast Clinic as a clinical nurse specialist. She retired in 2005/6. 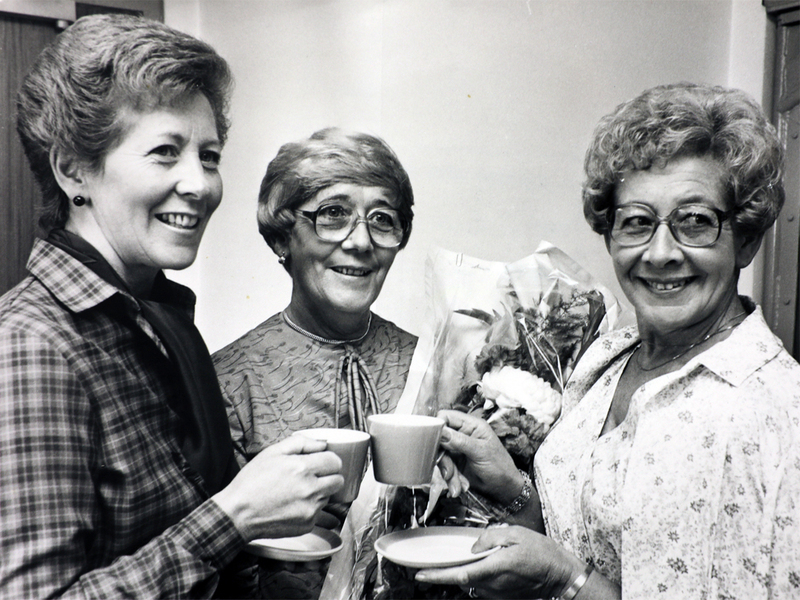 Sister Maureen Dudley is pictured centre (with Pam Hughes on left, Margaret Knott on right). Maureen Dudley (second from left) 1980s. 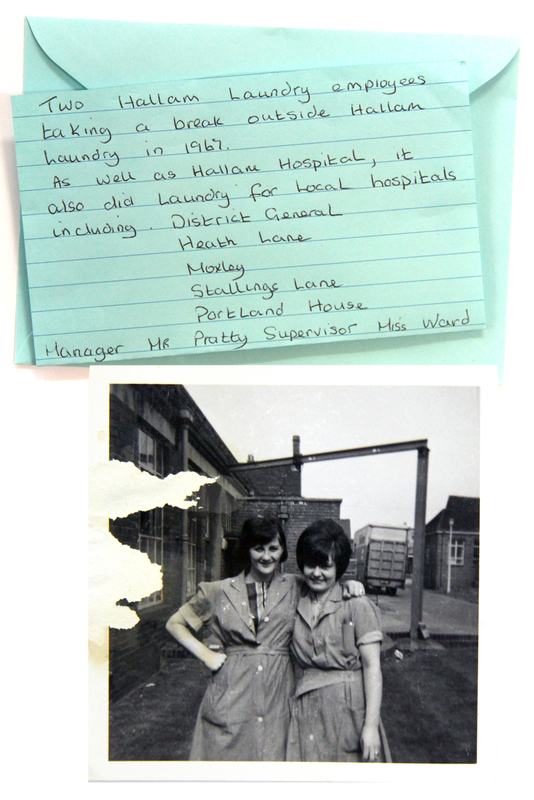 Mary Whitty at the hospital laundry, 1967.